If there is an edtech tool that is constantly evolving, updating and providing more opportunity for student creation & collaboration than G Suite I have yet to see it. While educational technology is a constantly changing landscape, the G Suite and Google Drive platform has been a constant and has evolved with a focus on effective and meaningful use in the classroom. When it first emerged as a tool that could potentially be used in an educational setting, there was limited functionality, digital workflow was challenging, collaboration was a bit clunky and in many instances there was no compelling reason to migrate away from existing tools that allowed for word processing & presentation creation. 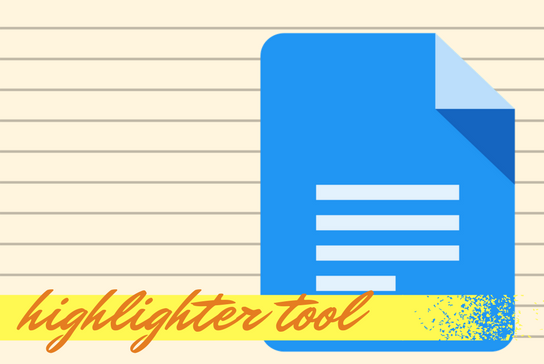 With increased access to devices, an expansion of the tools available to students and teachers directly through Google Drive and a wider landscape of web based edtech tools, the ability for both teachers and students to create with G Suite has changed dramatically. With the influx of Chromebooks in classrooms and the increased capacity of G Suite, the concept of HyperDocs emerged and it has resonated with teachers. While the term and concept of a HyperDoc is one that has entered the vocabulary of teachers across the country, it is important to have an aligned approach towards the purpose and intention of creating and implementing HyperDocs. Where one can efficiently recreate an analog assignment in a digital space (Google Document), include links to relevant resources (hyperlinks) and have students complete a task, it is tempting to describe this as a HyperDoc. However, there is more potential when we examine what is possible when shifting student work to a digital environment. Once the core skill set of manipulating Google Drive is established, the potential to structure a Google Document as an environment where students can explore ideas in a connected environment, demonstrate their understanding in a multitude of modalities (text, images, audio, video) and apply that learning to a unique challenge or opportunity, the potential and intention of implementing HyperDocs in the classroom is truly unlocked. Whereas barriers to content, connectivity, collaboration and expression are eliminated in a digital environment, there is great potential and responsibility to leverage the tools (Google Drive) and the approach (HyperDocs) in a meaningful way. Consider a scenario where there is a topic that a teacher wants to explore with students in an upcoming unit. Where the traditional print materials might be slightly outdated, in a connected classroom the teacher now has the ability to curate the most relevant, accessible and engaging material to help their students begin to develop an understanding of the new concept. In a HyperDoc environment, these links can be added to designated work spaces where students can document their prior knowledge, understanding and questions they developed when exploring the web based materials. Because of the instant collaborative nature of a Google Document, the teacher can provide timely and targeted feedback and suggestions. Further, if a new timely resource emerges, the teacher can provide the link directly in the student HyperDoc to further their investigation. The ability for a student to reflect on their learning, understanding and perspective throughout the process is also a valuable component of HyperDocs. Additionally, compiling this process in one unified, well designed HyperDoc is a value added for both the teacher and student as it acts as evidence of their process and growth along the way. As we shift from the phase of exploration into student demonstration of understanding, this is where HyperDocs have the potential to shine and remove any unnecessary barriers to student expression. Whether they are explaining their perspective and shift in understanding through text (Google Document), image (Google Drawing), video (Screencastify) or audio (inserted into a Google Slide), students have the ability to capture and share their understanding through multiple paths. A well designed HyperDoc may also include specific work spaces where students can construct their understanding directly in the HyperDoc or can include a link to an outside web tool as evidence of their thinking. The “hyper” in HyperDoc also does not have to be limited to teacher provided resources to acquire information. Consider the impact of building in hyperlinks to collaborative workspaces where students can share their understanding, learn from their peers and provide feedback / comments to one another. With younger students, creating a color coding scheme in a HyperDoc can be a helpful practice to let them know within the context of a multipage document that they should stop to reflect, write, create or connect ideas. There are ultimately an unlimited number of approaches educators can take towards designing and implementing HyperDocs in their classroom. And one must always carefully consider the way in which the students will engage in the digital space and the role that offline, face to face instruction, group work or whole class discussion will fit into the context of a HyperDoc. While it may be possible to provide the lesson or experience in a structured, digital, HyperDoc environment, the approach to implementation and the intention of the experience is one that can only be determined by the teacher. The same HyperDoc in two different classrooms, with two unique populations of students and two different teachers can and likely should result in a different experience that is carefully crafted by the teacher with the intention.